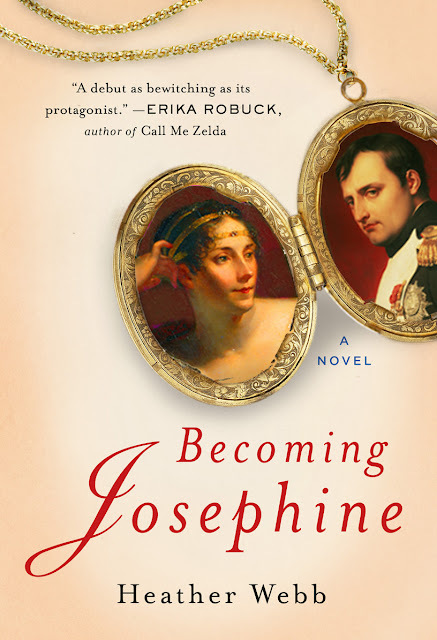 BECOMING JOSEPHINE by Heather Webb … Cover reveal!! BECOMING JOSEPHINE is Heather Webb’s debut historical about Napoleon’s empress, a woman in search of eternal love and stability, and ultimately her search for self. It releases December 31, 2013 from Plume/Penguin. Stop by her blog Between the Sheets and leave a comment for a chance to win a $20 gift card to Barnes & Noble or a $20 gift card to Amazon. Pre-order her novel (present a receipt) and win a Josephine hand mirror with a velvet bag. of historical fiction featuring the wives of famous men. Thank you so much, Brenda! :)I’m SOOOO excited!!! You’re welcome – I can’t wait to read it! Gorgeous, breathtaking cover from my amazing mentor!! !